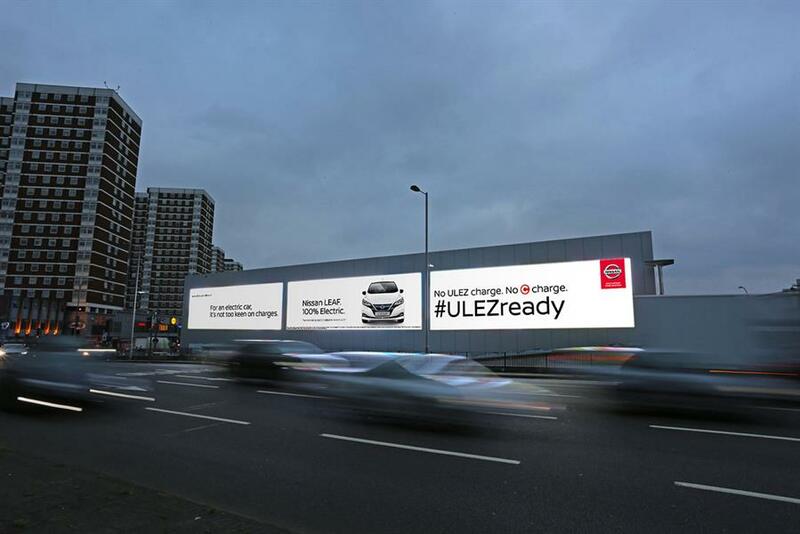 Nissan is running a personalised digital out-of-home campaign to show drivers how the brand's 100% electric vehicle, the LEAF, is exempt from London's impending Ultra Low Emission Zone (ULEZ) charge. The ads respond in real time to cars at congested traffic light locations such as Gypsy Corner, Finchley Road and Holland Park in central London. The DOOH screen references the car at the front of the queue by its make and colour, with a note about the charge it would incur from 8 April if it enters the ULEZ zone. For example, one execution says, "You could save up to £24 a day on the ULEZ and Congestion charge". If a driver is already in a Nissan LEAF, the copy congratulates them on avoiding the charge by being ULEZ ready. TBWA\London created the campaign with Manning Gottlieb OMD.